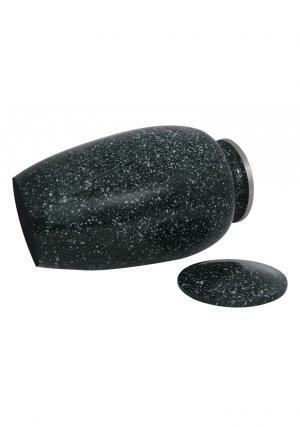 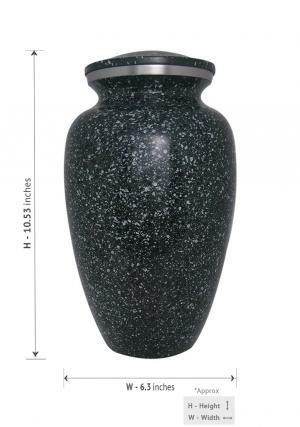 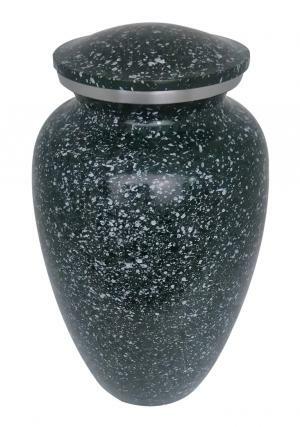 Marble Green Aluminium Adult urn for ashes is a decorative large ashes urn made of high quality aluminium intricately hand designed from skilled professionals and beautiful encryption of speckled heavy green. 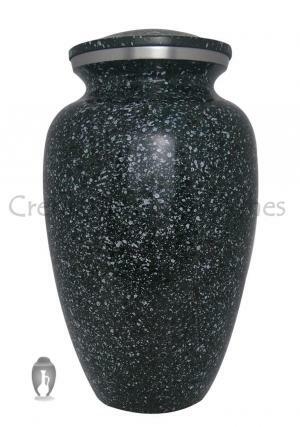 The lid of the Marble Green Aluminium Adult Ashes Funeral urn is trimmed in screw threading with silver engravings on neck to secure the ashes of the loved one’s. 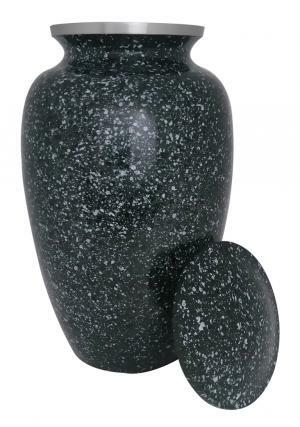 Beautifully engraved large adult cremation urn weighs 1.4 kg(empty), stands 10.53 inches in height and width of 6.3 inches which measures to carry 200 cubic inch of ashes volume space.